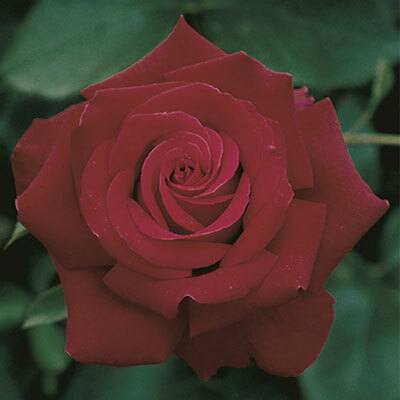 A big super-fragrant long-stemmed rich-red Hybrid Tea is the epitome of the classic rose in many people's minds. That's why there could be no better choice for the first sponsorship rose of the 'Remember Me' garden fund. Each plant sold will contribute toward the fund's effort to honor the victims of 9-11. You'll love the vigorous bushy plant that provides armloads of buxom blossoms. Lots of clean green leaves keep it looking good in the garden, too. Cooler temps give the best red color.